Lightweight and comfortable, these polyurethane coated material handling gloves are ideal for many applications. The polyurethane coating allows the product to breathe when chemical resistance is not a concern. 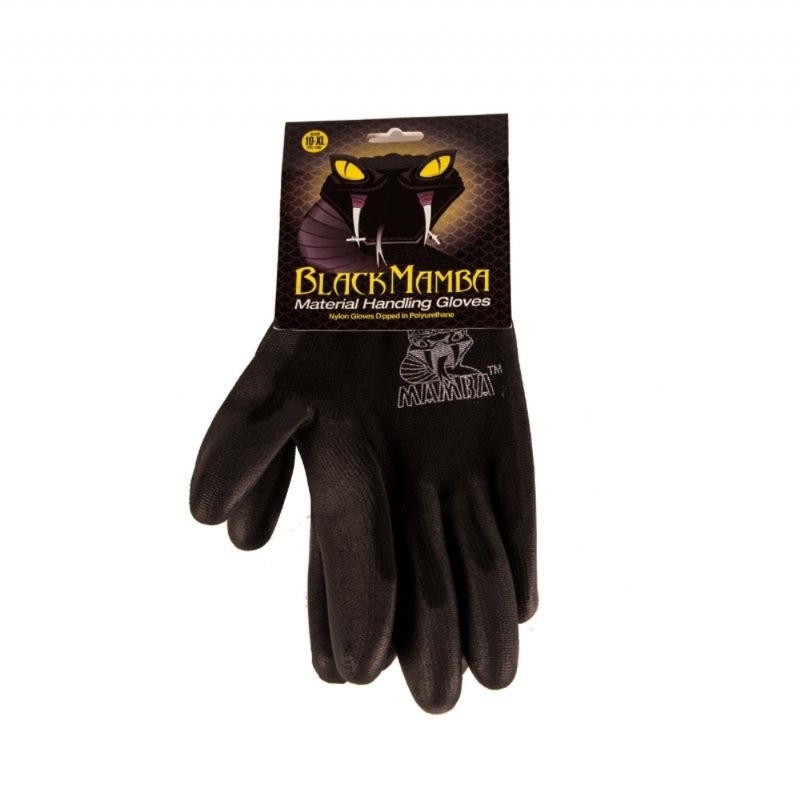 Designed to Perform Black Mamba Gloves are designed and manufactured for industrial applications where standard disposable gloves are unable to provide the resilience and performance demanded by the toughest of jobs. Black Mamba gloves work as hard as you do. Your hands are your business's most valuable assets; ensure that you protect them using the industry's leading disposable glove that offers three times the puncture resistance and superior chemical resistance over Latex and Vinyl disposable gloves. Black Mamba's Grip Rite textured surface has a secure and tactile grip whilst providing sensitivity for delicate, precise tasks. Black Mamba's unique compound and manufacturing process means that they are the leading disposable nitrile gloves on the market.